Douglas Mews won first prize in organ performance in 1938 while earning his fellowship from the Royal College of Organists. The following year he completed a B. Mus at London but was called up the same year for service in the British army. His war service took him to almost every country on the western front and also to Africa. Born in Newfoundland, at the time a British colony (it did not become a province of Canada until 1949), he had left his home to study in England. Several coincidences attended his war service, not the least being the meeting of his future wife. The British left many of the Germans in their billets when they liberated the Netherlands at the end of the war, and a number of British soldiers lived in tents pitched behind the houses of Dutch people. Douglas had acquired a piano from the German air base at Arnhem and he played it in his tent which was pitched behind the home of a certain young Dutch girl. She must have appreciated the music for they were married some time later. While at Pessaro Italy, Douglas had the unique experience of being billeted in the house where Rossini was born. He also remembers giving a recital on the pipe organ in Holland just after the end of the war and because of no electricity the air for the pipes had to be pressurised by hand. Immediately after the war Douglas took a number of teaching and examining appointments, also giving recitals and broadcasts. Coming to NZ as a Trinity College Examiner led to his appointment as Senior Lecturer in Composition at Auckland University. It was while holding this appointment that he met Allan Jones and commenced an association with the accordion. 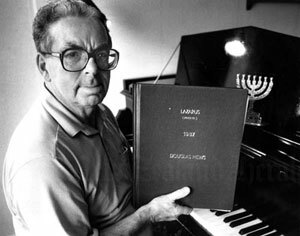 Douglas has been a prolific composer of international stature for instruments, orchestra and choral works of varied types. To these he has added a collection of accordion pieces, many for stradella and free bass and he was commissioned by the NZAA to compose the test piece (Suite Aotea) for the 1980 Coupe Mondiale World Championships, held in New Zealand. Subsequently he was commissioned by the ATG (Accordion Teachers Guild, USA) to compose "Table Talk" a work for accordion group (or orchestra) and choir which was featured prominently at the 1981 Coupe Mondiale in Kansas City, USA. He has been an examiner and Vice Chairman of the AEBNZ almost since it was formed. From his broad experience with music and musicians, Douglas observed that accordionists were the most cheerful group of musicians he has been associated with. He is however surprised that they do not expose themselves to more music from other than accordion sources. Such exposure, he believes, forms a background to your own playing. He believes music is an instinct, but a trained instinct. As he was being interviewed Douglas drew some comparisons between the organ and the accordion, noting that they both depended on wind to operate either pipes or reeds that are arranged in ranks, with a pitch interval of an octave apart. He looks forward to having the accordion developed further with several added ranks of reeds one of which should be tuned to a fifth above the unison ranks. This arrangement is now becoming available on the concert models of several brands of accordion. He sees sight reading as the sign of musical literacy and remarked that if you could not sight read you could be a lonely musician. Dr Mews, as he is often referred to, has contributed in a number of ways to the development of the accordion in NZ, not the least being his forming a bridge between other musicians and musical styles, and accordionists. At the Allan William Jones Memorial Scholarship evening of 1992, he was awarded the AEBNZ Certificate of Merit for his considerable contribution to the development of formal standards for the accordion in NZ. In 1992 Douglas began a well earned retirement, somewhat prematurely due to a stroke and poor health. 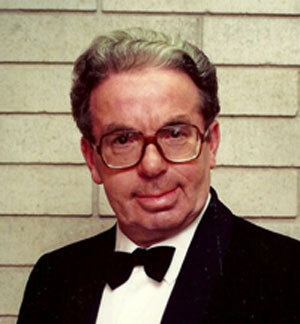 Douglas Mews died in 1993. Published by Ernest Deffner Publications, New York. Suite Aotea solo, selected as the 1980 Coupe Mondiale Test Piece. mews82 - Suite Aotea solo, selected as the 1980 Coupe Mondiale Test Piece.